Carbide-tipped blocks. 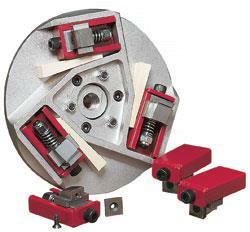 Designed to strip industrial buildups without damaging the concrete. Used on Mastics, Fiberglass, Tar, Hardened Food Deposits, Ice, Paint. * Please call us with any questions about our conc grinder carbide strip sert set 3 rentals in Oak Grove MO, Blue Springs MO, Independence MO, Lexington MO, Odessa MO, Independence MO and Western Missouri.